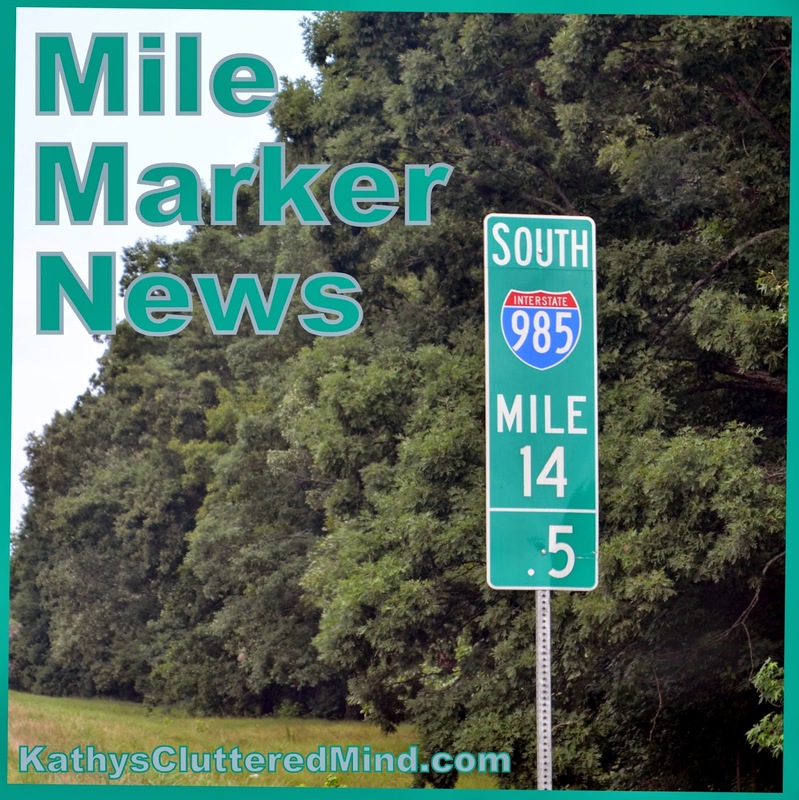 "Mile Marker News" will include details about our upcoming trip, the preliminary itinerary, the planning process, travel tips, and more. And of course there will be many posts to follow after the adventure when we share our reviews and other travel articles pertaining to our trip. Well we are gearing up for another fun adventure, but this time we are heading north to our sister state, South Carolina. Did you see our South Georgia Adventure itinerary? I completed the post about our stop in Albany, Georgia, but I am still working on a few more for the other cities we visited. Remember to follow us on Instagram, Facebook, Twitter and/or Google + so you can see snapshots of our adventure. We are total beach bums and if we could live near a beach we totally would. In a few days we will be heading to Myrtle Beach in South Carolina. Myrtle Beach is the perfect beach getaway and offers a wide variety of activities, accommodations and dining. Rich history - there are tons of great historical places to visit in Myrtle Beach where you can learn about the Native Americans, colonial living, plantations, pirates, railroads and much more. Beautiful beaches - with over 60-miles of beach Myrtle Beach is a picture-perfect gateway to the sparkling Atlantic Ocean. There are tons of activities like boating, fishing, kayaking, scuba diving and more. And the area's ancient rivers, winding creeks, and spectacular marshes, along with the Intracoastal Waterway, offer water lovers even more opportunities for fun in the sun and water. To die for food - from mouthwatering seafood and steaks to scrumptious pastries and coffee Myrtle Beach offers a wide variety of eateries. This trip is not nearly as elaborate as the last trip but it is going to still be tons of fun and super relaxing. Here is information on where we plan to stay and have fun! We will be staying at the beautiful, newly renovated Crown Reef Resort. Crown Reef Resort, which opened its first tower in 1994, is located at 2913 South Ocean Boulevard along the south end of Myrtle Beach. Crown Reef offers the most oceanfront rooms (514) in Myrtle Beach, a large conference center, indoor and outdoor water amenities, on-site dining and more. We are really excited about the $2 million waterpark that just opened at Crown Reef Resort. In addition to two new 4-story enclosed waterslides, including the world’s first hotel “EXPLOSION” slide, the waterpark features a kids waterslide, sub play area with water sprays and bucket dumps, and a sun deck. Image courtesy of Crown Reef Resort. Image courtesy of Alligator Adventure. At some point we will swing by the T.I.G.E.R.S. Preservation Station at Barefoot Landing in North Myrtle Beach. This FREE wildlife exhibit and living tiger museum gives you the chance to meet some of the world's most amazing animals up-close and in-person while they play and relax in an outdoor environment. There are Bengal tigers, Siberian tigers, Royal White Bengal tigers and of course, the Golden Tabby tiger. For some geocaching fun we plan to visit Myrtle Beach State Park which sits nestled among an oceanfront maritime forest. A quiet, and surprisingly green, escape from the otherwise bustling beach, the park provides educational opportunities, a nature trail and some of the best surf fishing South Carolina has to offer as well as stunning ocean views and another great fishing spot on Myrtle Beach pier. Either on our way to or from Myrtle Beach we will be stopping by Murrells Inlet a historic fishing village where you can experience nature along the Murrells Inlet MarshWalk. The MarshWalk is FREE to enjoy and offers great views of the saltwater marsh, birds, and beautiful scenery. Home to many waterfront restaurants, music is in the air once evening rolls around. For some evening time strolls we plan to visit the Myrtle Beach Boardwalk, Broadway at the Beach and/or Barefoot Landing. These place offer a variety of dining, shopping, entertainment and magnificent views! Since we are an art loving family we definitely plan to visit the FREE Burroughs-Chapin museum. This is the only art museum in Myrtle Beach. It is located across the Springmaid Pier. They feature many exhibits including an Art Studio just for kids. To learn more about how native people lived along the Carolina coast before the arrival of Europeans we will make a stop at the Horry County Museum in downtown Conway. This museum features a great collection of Native American artifacts from Archaic, Woodland and prehistoric time periods. There is also a living history farm. Admission is FREE. For more nature exploration we will be hitting up the Heritage Shores Nature Perserve. This preserve is one of the most unique parks in the city; created in 2007 with seven (7) acres of walking paths. The park is located on an island that extends into the Cherry Grove Marsh. The land is preserved in its native state and is accessible via a series of elevated boardwalks and observation docks. Interpretive signage throughout the park describes the plants, animals, fishes and birds that can be seen in the park. This is also FREE to visit. What is your favorite beach to visit?